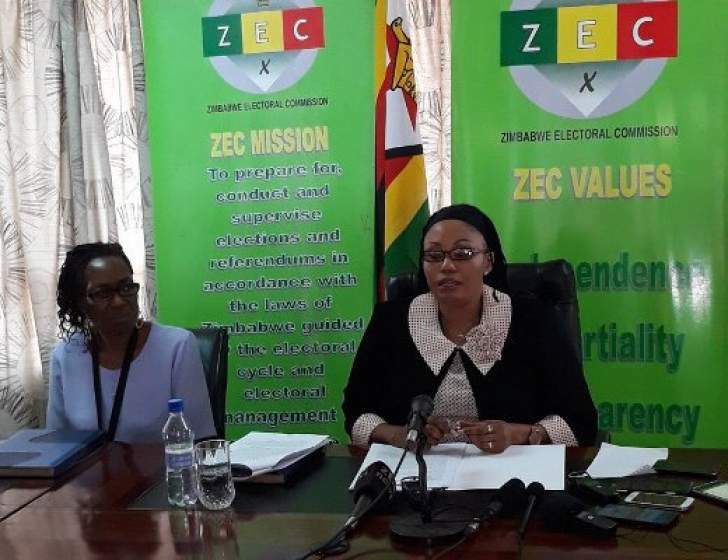 THE under-fire Zimbabwe Electoral Commission (Zec) has scoffed at speculative social media reports suggesting that its chairperson, Justice Priscilla Chigumba, had succumbed to pressure and resigned ahead of the July 30 watershed polls. Zec commissioner Qhubani Moyo at the weekend dismissed the reports as a hoax meant to cause alarm and despondency and derail preparations for the elections. "Take note of this fake news story in circulation meant to derail elections," Moyo twitted. Although Chigumba was unreachable for comment yesterday, she last week laughed off the suggestions saying: "I am hearing it from you. I am yet to be told of my resignation. I will surely tell you about it when I am advised." According to the speculative report which has gone viral on social media platforms, Chigumba was said to be planning to hand over her resignation letter today, citing insurmountable pressure from the military and both sides of the political divide with parties expressing dissatisfaction with the way she was running the polls. The Zec boss has over the past few weeks been facing a lot of pressure from the Nelson Chamisa-led MDC Alliance to level the political playfield ahead of the polls. The opposition has tabled a litany of demands, among them provision of an analysable voters' roll, transparency in the printing of ballot papers and demilitarisation of the Zec secretariat.